History is arguably the biggest tourist draw to Chester. 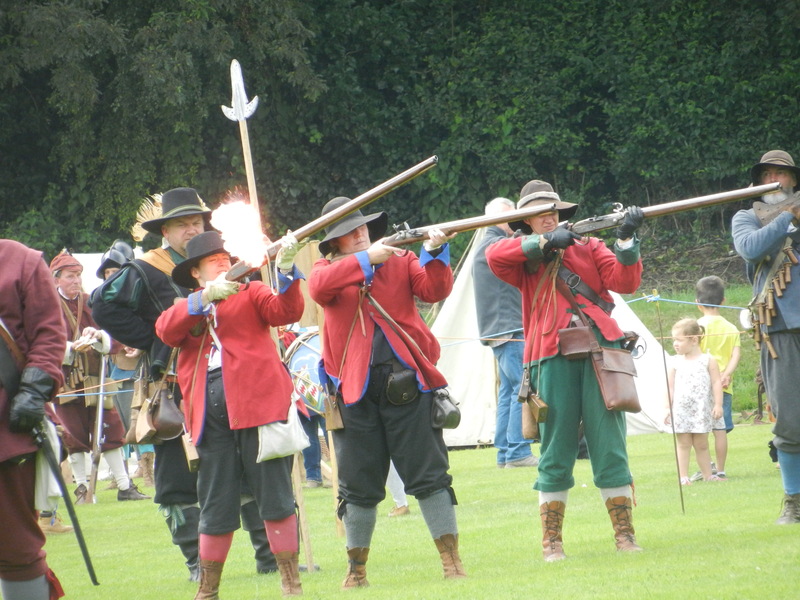 This weekend re-enactors brought the English Civil War back to the city. 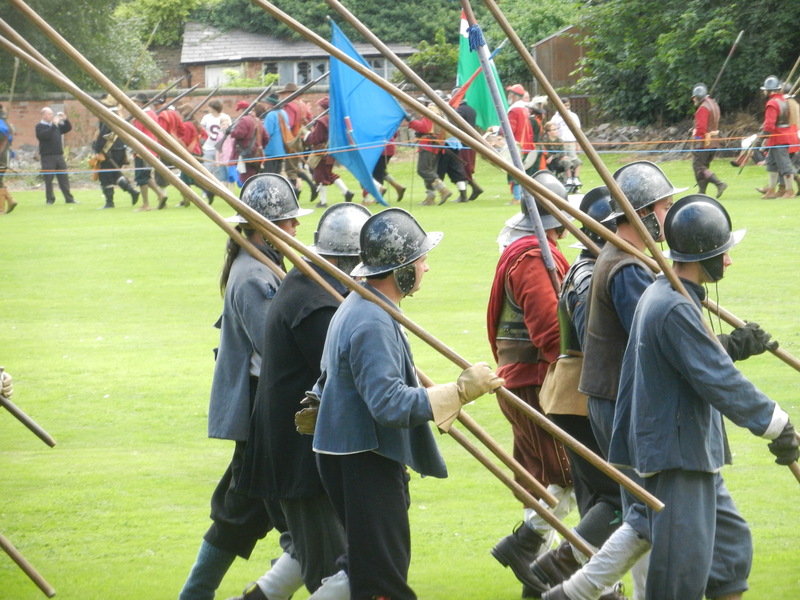 Members of the Earl of Manchester’s Regiment of Foote and the Sealed Knot acted out scenes from the siege of Chester, a Royalist stronghold, by Parliamentarian forces. From a commentator, I learned that Chester was actually extremely important to King Charles; as his forces lost territory, this city was left as the last port on the west coast in the hands of the crown. The city had stood by the king, even to the point of forcing its Member of Parliament to leave because he supported those who were against Charles. However, the siege took its toll, and eventually Chester fell to the Parliamentarians. 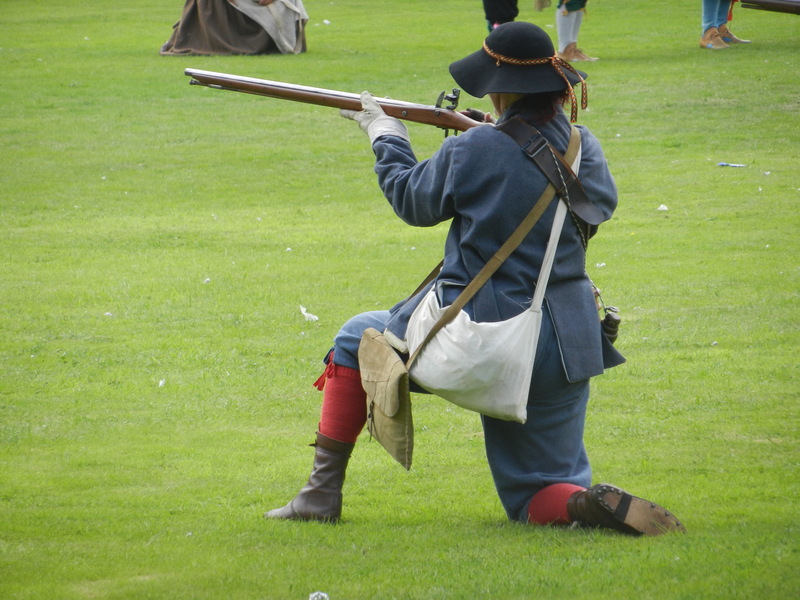 According to the re-enactors, the loss of Chester meant that the king could not win the war. 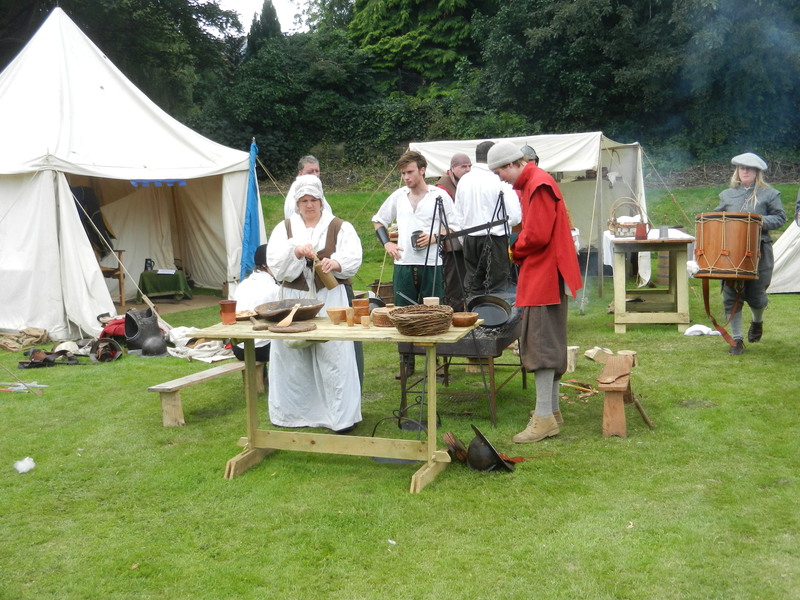 The re-enactors took care to note that they did not engage in their hobby in order to glorify war or to make light of it, but because England should not forget its history, especially a time that was so important for forging many of the institutions that remain central today. 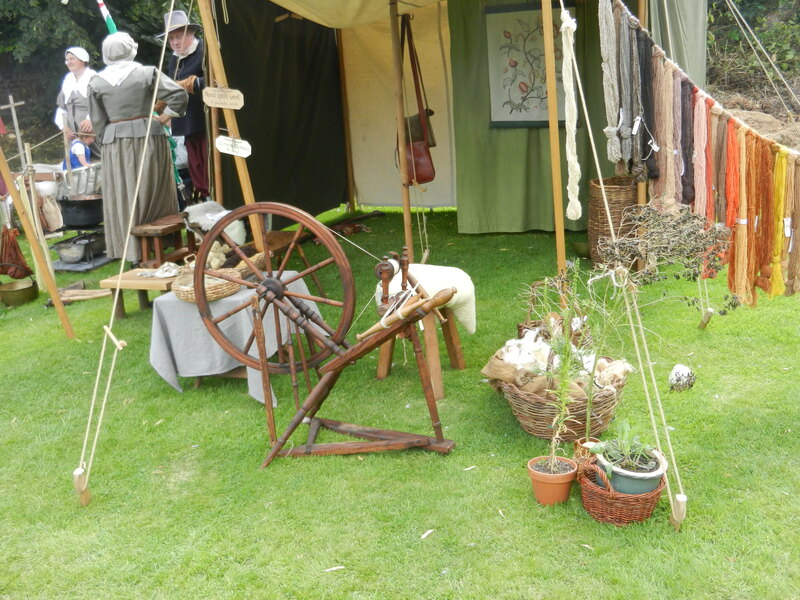 Accordingly it was not all pikes and muskets, but they set up a seventeenth-century army encampment to try to show the life of the families which would have gone with the men on a campaign. It’s all great fun, and people can live out their passion for the past. Still, sometimes I wonder about the importance of what is not shown. Perhaps there is still too much of a historian in me.